CP 47,497, named after Charles Pfizer of Pfizer Pharmaceuticals, developed in the 1980s for scientific research. JWH-018 and others in the JWH series, named after Prof. John W. Huffman of Clemson University in South Carolina, created in 1995. 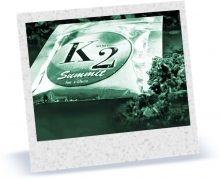 In 2010, the U.S. Drug Enforcement Administration used emergency powers to control these chemicals, and in 2012 a law was passed banning the substances found in synthetic marijuana. Underground chemists then developed new experimental drugs, UR-144 and XLR11, that mimic the effects of marijuana, to replace those that had been banned. In 2013, UR-144 and XLR11 were made illegal, but by that time a new generation of synthetic marijuana had surfaced. The point is not whether these drugs are illegal. Studies show they are toxic and unsafe.